2016 has been a very good year for the U.S.'s wealthiest women. More women made the list this year than in any other and there are six more on the list than last year. This year's list of the wealthiest Americans features 58 female billionaires – 51 of them have their own fortunes (whether made or inherited) and seven built billions alongside their spouses. First, let's look at the ladies who inherited their billions. Alice Walton remains the richest woman in America thanks to all of that Walmart Money. Her net worth rose by $3.4 billion over the past year to $28 billion. She isn't the only Walmart heiress on the list, of course, just the richest of the group that includes Ann Walton Kroenke, Christy Walton, and Nancy Walton Laurie. There are also a couple of heiresses to the Cox cable fortune on the list –Blair Parry-Okeden ($10.8 billion) and Margaretta Taylor ($7.2 billion). 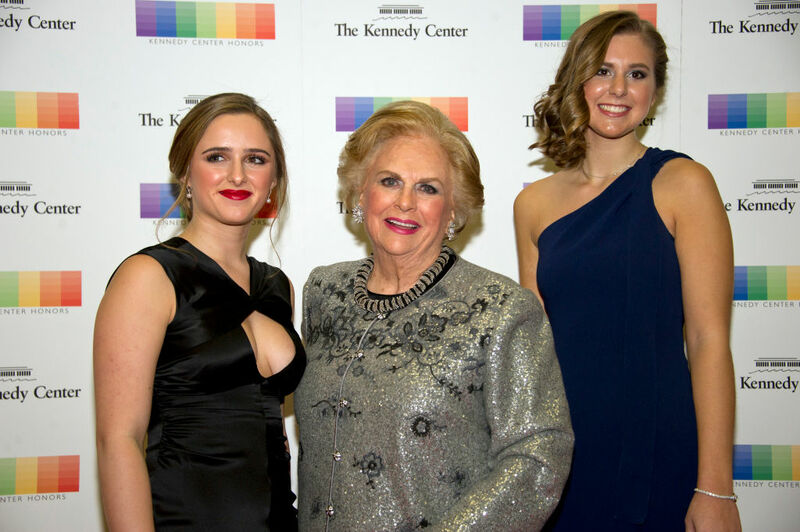 Jacqueline Mars and her candy fortune of $24 billion make her the second wealthiest woman in America. Laurene Powell Jobs, widow of Apple's Steve Jobs is the third richest woman with a $17 billion fortune. None of the 15 richest American women are self-made. They each inherited their fortunes, however, some are working to increase them. Diane Hendricks is the richest self-made woman on the list with a $4.9 billion fortune. Diane runs ABC Supply, the U.S.'s largest wholesale roofing company. She is also part of GOP Presidential Candidate Donald Trump's economic advisory team. A number of female immigrants to America made the wealthiest list, thanks to the businesses they founded and built with their husbands. The women who made their American dreams come true include Forever 21's Jin Sook Chang ($5.9 billion), Panda Express' Peggy Cherng ($3.1 billion), and IT outsourcing firm Syntel's Neerja Sethi ($1.1 billion). Newcomers to the list include self-made Jane Goldman, who is the only female billionaire in the U.S. heading up a real estate firm. She is the acting chair of New York's Solil Management, which is the largest family-owned property portfolio in the U.S. She has a net worth of $3 billion. Other notable and self-made women on the list this year include Oprah Winfrey ($3.2 billion), the Gap's Doris Fisher ($3.3 billion), and eBay's Meg Whitman ($2.1 billion). Missing from the list is Theranos' Elizabeth Holmes, who last year held the distinction of being the richest self made woman. This year, Holmes' net worth has been downgraded to $0 due to the troubles at her blood testing company. Laurene Powell Jobs already has several philanthropic and entrepreneurial investments in her portfolio. Now she's turning her attention to the NBA and the NHL. Last fall, a national competition to redesign American public high schools was officially launched by Laurene Powell Jobs. Now, two Los Angeles area teachers have been awarded $10 million to fund their vision of a modern high school.